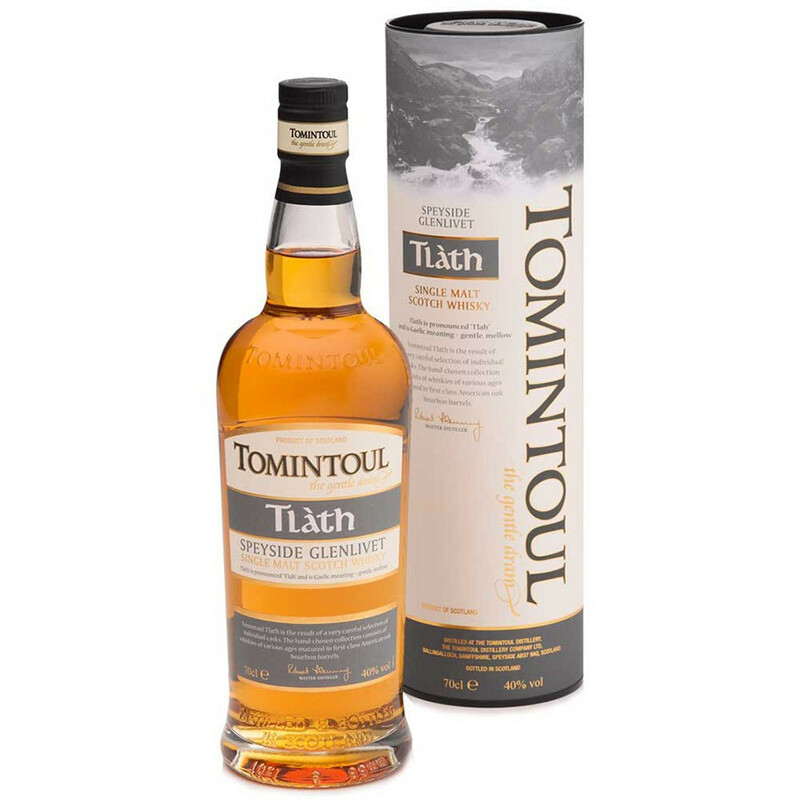 This new release of Tomintoul distillery, Tlàth is pronounced "Tlah" and means gentle or mellow in gaelic. This new release of Tomintoul distillery, Tlàth is pronounced "Tlah" and means gentle or mellow in gaelic. Tomintoul Tlàth is the result of a very careful selection of individual casks. The hand-chosen collection consists of whiskies of various ages matured in first-class American oak bourbon barrels. It can be tasted as an entry point to the core range of Tomintoul. Tomintoul was built in the mid-1960’s, 350 meters high, and draws extremely pure water from the Ballantruan spring located in the Cromdale hills. The spring water add to the uniquely smooth spirit that has been produced by the distillery as soon as 1974. The distillery produces up to three million liters of alcohol every year. The distillation material includes a semi-lauter mash tun, six washbacks in stainless steel and four stills (onion shape). The spirits are matured in a combination of American Bourbon casks and refill hogshead, and ex-Oloroso Sherry casks.